Key Colony Beach Florida is right in the middle of the glorious Florida Keys. The crystal clear water is ideal for snorkeling, but the waves here are pretty active so you might prefer to surf or wave-board. Private residences occupy much of the beach, so access to this pristine beach is easiest from one of the beachfront motels. Stay on the beach and listen to the water lap up on the shore at night. Then get up early and go beach combing. There may be something to the old saying, "the early bird gets the worm" because treasures wash up all night from the depths of the ocean and you may be the first to find something that no one else has ever seen. Fish are plentiful here at Key Colony Beach Florida so fishing is a popular activity. Even better, eating fish tonight so fresh that it swam earlier today. 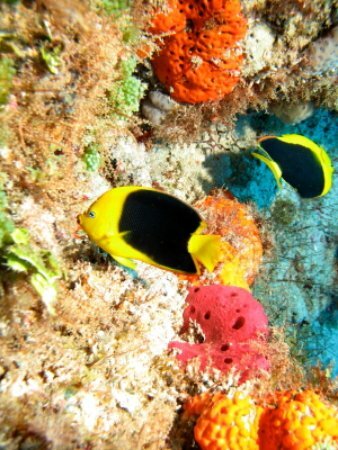 Snorkeling and diving are very popular because there are some magnificent underwater reefs here. Check out our article on Snorkeling; it is a wonderful thing to do and part of the Florida experience. With less than 1,000 residents, Key Colony Beach gives off a small town vibe but still has plenty of fun activities for tourists to enjoy. Looe Key National Marine Sanctuary is a great place to take a boat out to do some snorkeling and sight seeing. Sharks, barracudas, fish, dolphins, eels, manta rays, you name it, you might see them here. You can also take a guided tour if you would rather. See rescued birds being nursed back to health and set free at the Florida Keys Wild Bird Center. Explore the only living coral reef in North America from the “Sea Diver” Catamaran at A Deep Blue Dive Center. Kids of most ages: Head over to the Long Key Recreational Area to learn about all of the wildlife in the area including birds and sea turtles. You can also learn more about snorkeling, fishing, canoeing and history and walk along nature trails. The kids will enjoy observing all of the marine and plant life here. Eating: Sparky’s Landing gets rave reviews for its seafood and Key Colony Inn offers up some tasty and affordable Italian concoctions. Sleeping: Try the quaint beachfront Key Colony Beach Motel or Ocean Beach Club.